Continuing on…This article contains revision note out of Chapter 6, 7, 8 and 9 of Chemistry Class11. As such nothing much from 6 to 8 because they deal with technical stuff in thermodynamics, redox equation etc. 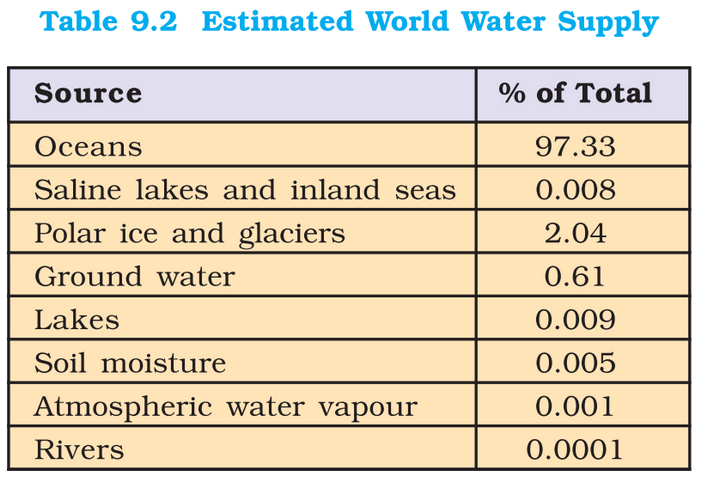 Water plays a key role in the biosphere because compared to other liquids, water has a higher specific heat, thermal conductivity, surface tension, dipole moment and dielectric constant. Water moderates climate and body temperature because of its high heat of vaporisation and heat capacity are responsible. Water is an excellent solvent for transportation of ions and molecules for plant-animal metabolism. ice cube floats on water because Ice’s density is less than that of water.. In winter season ice formed on the surface of a lake gives thermal insulation & helps aquatic life to survive. Water can dissolve many salts, particularly in large quantity, makes it hard and hazardous for industrial use. The polar nature of water makes it: (a) a very good solvent for ionic and partially ionic compounds; (b) to act as an amphoteric (acid as well as base) substance; and (c) to form hydrates of different types. Amphoteric Nature: Water can act as an acid as well as a base. Extensive hydrogen bonding between water molecules= high freezing point, high boiling point. And Due to this hydrogen bonding with polar molecules, even covalent compounds like alcohol and carbohydrates dissolve in water. When rain water flows through earth surface, it dissolves many salts and becomes hard. Soft water: it doesn’t have calcium and magnesium’s soluble salts. Soft water gives lather with soap easily. Hard water does not give lather with soap. Presence of calcium and magnesium salts in the form of hydrogencarbonate, chloride and sulphate in water makes water ‘hard’. Soap containing sodium stearate reacts with hard water to precipitate out Ca/Mg stearate. Hard water forms scum/precipitate with soap, so it is unsuitable for laundry. This salt deposit also decreases efficiency of boiler. Hardness of water is of two types: (i) temporary hardness, and (ii) permanent hardness. Due to the presence of magnesium and calcium hydrogen- carbonates. Due to presence of presence of soluble salts of magnesium and calcium in the form of chlorides and sulphates in water. Boiling: to convert soluble carbonates into insoluble carbonates, then they’re filtered off. Clark’s method: lime added to water. It’ll precipitate out calcium carbonate and magnesium hydroxid. Then it is filtered off. Treatment with washing soda (sodium carbonate): It’ll form insoluble carbonates that can be filtered off. Calgon’s method: add Sodium hexameta- phosphate. ‘calgon’ is the commercial name of this chemical. Pollution control treatment of domestic and industrial effluents. Properties: Colourless-pale blue liquid. Acts as an oxidising as well as reducing agent in both acidic and alkaline media. H2O2 decomposes slowly on exposure to light hence stored in dark. In metal surfaces or traces of alkali (present in glass containers), H2O2 reaction is catalysed. Therefore it is stored in wax-lined glass or plastic vessels in dark. Urea can be added as a stabiliser. H2O2 must be kept away from dust because dust can induce explosive decomposition of the compound. Hair bleach, bleaching agent for textiles, paper pulp, leather, oils, fats, etc. Used in Environmental (Green) Chemistry- for pollution control treatment of domestic and industrial effluents, oxidation of cyanides, restoration of aerobic conditions to sewage wastes, etc. Water gas/syngas/synthesis gas is the mixture of CO and H2. It is further used for the synthesis of hydrocarbons such as methanol. Syngas is produced from sewage, saw-dust, scrap wood, newspapers etc. Coal gasification is the process of producing ‘syngas’ from coal. Dihydrogen is a colourless, odourless, tasteless, combustible gas. Prepared by (1) water-gas shift reaction from petrochemicals (2) electrolysis of brine. Lighter than air and insoluble in water. Dihydrogen =>Synthesis of ammonia =>mfg. of nitric acid and nitrogenous fertilizers. hydrogenation of polyunsaturated vegetable oils like soyabean, cotton seeds etc=> Vanaspati Ghee. Manufacture of methanol and other bulk organic chemicals. Mfg. of metal hydrides, hydrogen chloride. Atomic hydrogen and oxy-hydrogen torches used for cutting and welding purposes. They can generate the temperature of 4000 K.
Dihydrogen fuel cells = electrical energy and rocket fuel. use di-hydrogen to store and transport energy. Energy is transmitted in the form of dihydrogen and not as electric power. 2005: India launched pilot project to use dihydrogen as fuel for running automobiles. Initially 5% dihydrogen has been mixed in CNG for use in four-wheeler vehicles. It’ll be increased gradually. It produces less pollutants than than petrol. Dihydrogen’s pollutant is called “oxides of dinitrogen”. We can minimize its emission by adding water in the cylinder. Its cylinder weight 30 times more than petrol tank. Liquification requires cooling to 20K. This Is very expensive. “acid” word derived from a latin word “acidus” meaning sour. Bases are known to , taste bitter and feel soapy. Common example: washing soda. Acetic acid main constituent of vinegar. When acids and bases are mixed in the right proportion they react and give salts. Example: sodium chloride, barium sulphate, sodium nitrate. pH scale: Hydronium ion concentration in molarity – that is expressed on a logarithmic scale known as the pH scale. Buffer Solutions: These solutions resist change in pH in presence of acid or alkali. PH Measurement has biological and cosmetic applications. Now-a-days pH paper is available with four strips on it. They can determine PH with an accuracy of ~0.5. pH meter is a device that measures the pH-dependent electrical potential of the test solution within 0.001 precision. 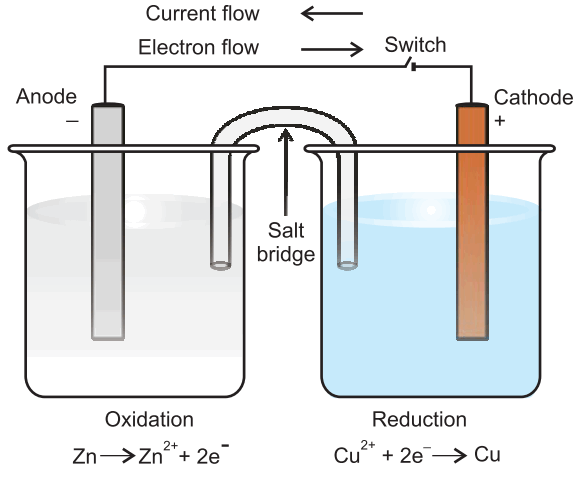 Daniell cell: Electrons produced at the anode due to oxidation of Zn travel through the external circuit to the cathode where these reduce the copper ions. Oxidation Loss of electron(s) by any species. 20% of atmosphere is dioxygen, hence many elements combine with it and to form of their oxides. Reduction Gain of electron(s) by any species. Oxidising agent Acceptor of electron(s). Reducing agent Donor of electron(s). Entropy It is a measure of disorder or randomness. The greater the disorder in an isolated system, the higher is the entropy. Used as Moderator in nuclear reactors. Gave the Arrhenius acid theory. Arrange following xyz items in their ascending / descending order of PH. Very nice stuff. Thanks ! Please upload current affair update of excel file. it won’t take more than two days for you sir. In prelims they are directly and indirectly asking question from those topics only. Please Sir ! Sir, aap hindi medium me bhi article likhne ki bhi kirpaa karen. Thanks a ton man ! thank u very much sir for all revision notes…………. Pls complete remaining Lectures….. At least reply whether you are doing them or not ? I request to do Lectures for Mains as well. 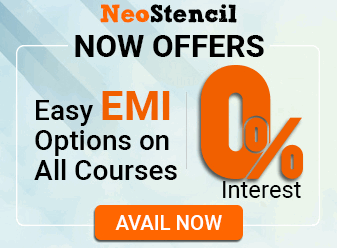 No amount of article writings will help the aspirants and make the site popular… when compared to lectures. sir thanks alot for this essential articles of Chemistry. sir do it for Bio & art and culture also,if possible. Great job team mrunal. Keep uploading similar material for other subjects too fron Prelims perspective. H202 is colourless gas and pale blue in liquid state. Mrunal sir,please update current affair.if you can’t atleast intimate us.lots of us depend on u for current affair. Pt exam is imminent need your reply urgently. Could anyone give overview of PDS Santa kumar recommendation ? sameer. it cant be 6.0 . check it once more. it has to be around 3.
plz any experienced candidate guide up to which date one shud prepare current affairs? sir where are the part 1 and part of chemistry? THanks for this write up. its of immense help. I gave CGL-tier 1 exam on 16-aug-2015. The code provided on the OMR sheet did not match with the code which was provided on the question paper. I asked the invigilator. Even they were in dilemma. some how they managed and made us bubble the code given on question paper. But my doubt is, code provided on OMR sheet and code on question paper did not match. Mrunal sir kindly address my query. Baat ye jai ki English bounce ho jati jai aur apke article English me hi aate hai.isliye agrah hai ki ek website Hindi me bhi launch kariye .apke article shandar hote hai .English me padhne se adha samjh me at a h adha upr se nikl jata h…so plzz help me..